AMR was established in 2002 and has an outstanding reputation for the efficient and comprehensive services we offer. 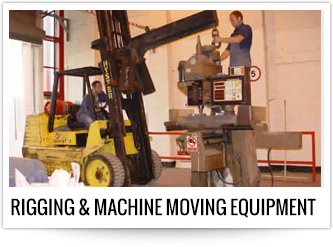 The Directors have practical experience in all the varied aspects of machinery relocations and movements. No job is too small, too large or too unusual for AMR; everything from the single item to be moved internally to complete production lines going to any country in the world. We also realise that our presence can be disruptive to your workforce and production schedules, so any work can be carried out at any time to suit you; day, night, weekend, annual shutdown periods or Bank Holidays. Mission: To provide the most efficient and comprehensive service for all of our customers, no matter what the size, and in time form a long-lasting relationship based upon confidence and trust. 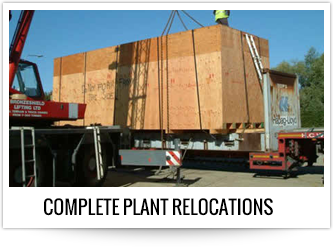 We at AMR understand that, on many occasions, time is a factor in our customers' relocation projects. 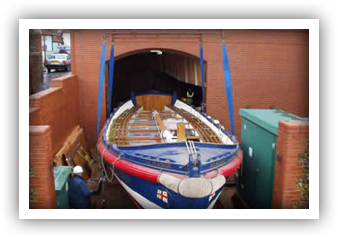 Through experience, our operatives have gained the knowledge and skills to complete any job on time and to our customers’ satisfaction where possible. 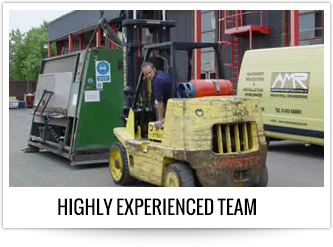 To this end we aim to: - respond to any enquiry as swiftly as possible - put together a fully comprehensive quote at a competitive rate - provide a skilled and enthusiastic crew - stick to all time schedules where possible - complete jobs as safely as possible - give each customer the time and effort we at AMR feel they deserve.